WOOSTER, Ohio — Three years ago, the first Ohio hops conference was held with just a handful of producers in attendance. There were roughly 10 hop farms, 15 acres in hop production and 50 craft brewers in the state. Today, Ohio boasts about 120 farms and 200 acres in hop production and 220 craft brewers. “It’s really grown a lot in 800 days,” said Brad Bergefurd,OSU Extension horticulture specialist at the South Centers in Piketon, Ohio. A lot of this resurgence in hops production is due to a spike in craft brewing in the state. 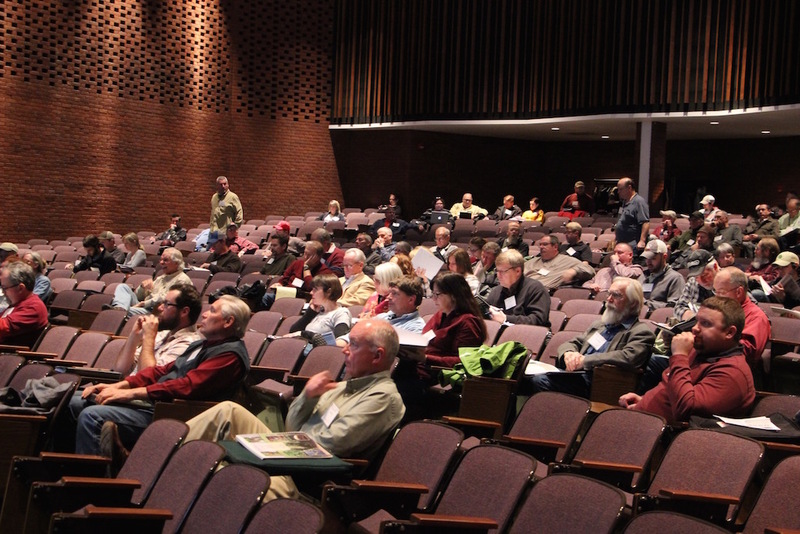 This year’s Ohio Hops and Malting Barley Conference, Feb. 24-25, at the Ohio Agricultural Research and Development Center in Wooster, sold out with over 2,000 producers in attendance. 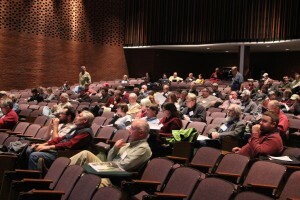 This year’s Ohio Hops and Malting Barley Conference, held Feb. 24-25, at the Ohio Agricultural Research and Development Center, sold out with more than 2,000 producers, from beginner to advanced, in attendance. Sessions offered new producers the opportunity to get involved in the growing industry while also helping advanced and established growers take their crop to the next level. In between presentations, growers had an opportunity to take a closer look at the bugs that affect hop growth. 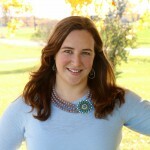 Mary Gardiner, associate professor of entomology at Ohio State University, set up a Bug Zoo at the conference. Hops growers had a unique opportunity to visit a Bug Zoo at the Ohio Hops Conference this year. 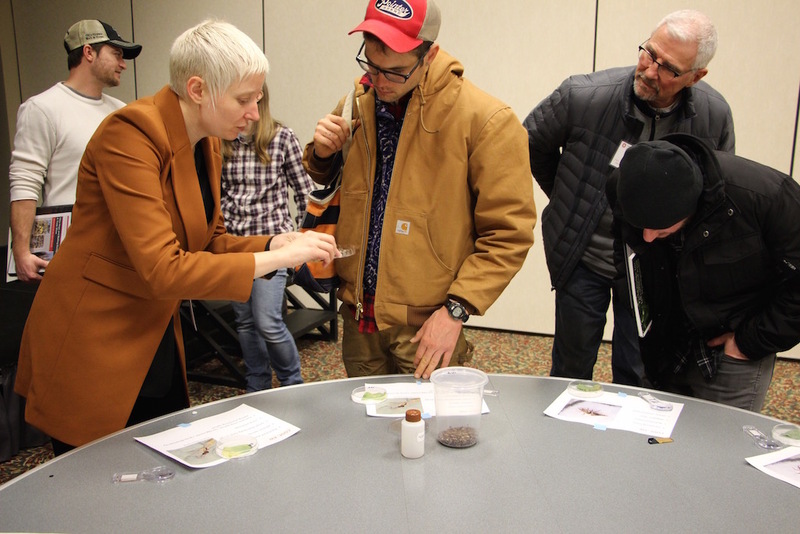 Mary Gardiner, associate professor of entomology at Ohio State, showed growers what some of the tiny pests and beneficial bugs look like up close. Gardiner and student researchers showed growers what spider mite damage looks like, and the tiny bugs themselves, as well as aphids and other pests. The Bug Zoo also showcased a variety of beneficial bugs that aid in plant production. Ann George, executive director of Hop Growers of America, gave a national and international overview of the hop industry. Nationally, there are currently 45,000 acres is hop production, which is the highest production has ever been in the U.S., said George. “This is a fun time to be in the hop industry. I just hope it stays,” said George. Hop markets are historically unstable, said George. While there is a stable demand for hops in the craft brewing industry, there is not enough acreage to support the demand. Varietal differences, growing practices, pests, Mother Nature, and even brewers changing recipes to develop the next best beer, all affect the market. Overall U.S. beer sales in 2014 increased by 0.5 percent, while craft beer increased by 17.6 percent, according to the Brewers Association. The overall beer market was $101.5 billion, with the craft beer market at $19.6 billion (a 22 percent sales growth). Annually, the U.S. exports 50 percent of its hop crop to more than 60 markets. Just five years ago, that number was closer to 70 percent, explained George. This shift is being driven by the craft brewing boom. In the past three years, overall hop acreage has increased 52.4 percent to meet the demands of domestic craft brewers. The craft brewing industry had a 15 percent growth rate going into 2015. Craft brewing is also driving a shift in the varieties that are being grown in the U.S. Historically, U.S. production has centered around Alpha varieties of hops, which are high yielding. Craft brewers are searching for aroma varieties which require certain climates to achieve desired flavors. These varieties also produce fewer hops per bind. Brewers are also experimenting with the use of wet or fresh hops and organic hops, which could open the door for niche growers. 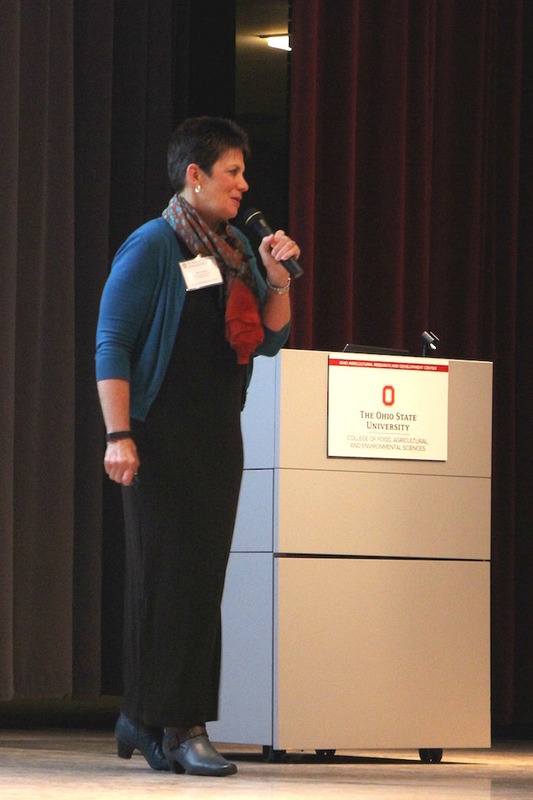 Ann George, executive director of Hop Growers of America, gave a national and international overview of the hop industry at the Ohio Hops and Malting Barley Conference. George said new hops farms are being established across the country, but with this growth, there is a need for quality and food safety standards. Hop Growers of America is working on a self-certifying program that will allow growers to identify themselves as quality hops producers and help local brewers find them. Online modules will be available for growers to take and print out a certificate of completion. The first module will be available around harvest time (mid-2016) at usahops.org. The group is also working on a database system that will issue each certified grower a grower number. This will help with traceability — knowing what varieties are being grown, how much acreage is being used and where it is being grown, for better reporting. George told beginning growers that there are a lot of considerations before one decides to put a plant in the ground. Growers should first identify a market to sell their crop. Ask area brewers what varieties they would be interested in purchasing and how much they need. Then, try to secure a contract with brewers if possible. Growers should seek out quality plant stock to begin a hop yard; know what diseases to be prepared for; and what tools (pesticides/herbicides) are approved for treatment of those diseases. Finding the right variety that grows well in an area may require research and test plots. George notes that what works well for one grower may not necessarily work for another. It may take a couple years to find what grows well. How will the grower harvest and process his crop? It could mean an investment in machinery or teaming up with another grower who would provide the service. It can cost a grower $10,000-$15,000 in start-up costs to build the trellis system that is required for growing hops. Develop a realistic five-year budget, mapping costs of production and potential market prices. “It doesn’t take very much acreage to have something of high value and provide extra income for the family,” said Tom Worley, director of Ohio State University’s South Centers. But it does take a lot of careful planning and hard work to be successful.